Thank you MitoQ for sponsoring this post. Check out MitoQ’s website to learn more about the product! 2018 has been a year of change + growth for me. My goals at the beginning of the year were different than most of the years before. Some of my main goals included having Aimery + settling here in Lancaster and establishing a routine. To get through a divorce + custody battle while keeping good mental health. To grow my blog + business to continue to solely provide for us. To pay off a good chunk of debt + become financially stable. And although all of my goals were important, my own physical health was pushed to the side in the process. My goal going into 2019 is to embark on my own self-journey towards wellness. To put my own health above all else. To really make time for me, every day, no matter what. I’ve decided the best time for me to start this journey is now, before the holiday hustle gets the best of me! Keep reading for the 5 ways I’m starting my 2019 health goals now. My first health goal going into 2019 is not to obsess over my weight. Over the last seven years, I have constantly jumped up and down the scale. I’ve gone from being underweight to being a healthy weight to being underweight again more times than I’d like to admit. It happens when I feel stressed or anxious. This year, my goal isn’t to lose weight. My goal is to be healthy and practice self-love. Since I live a natural lifestyle, I love to take supplements to benefit my physical health. 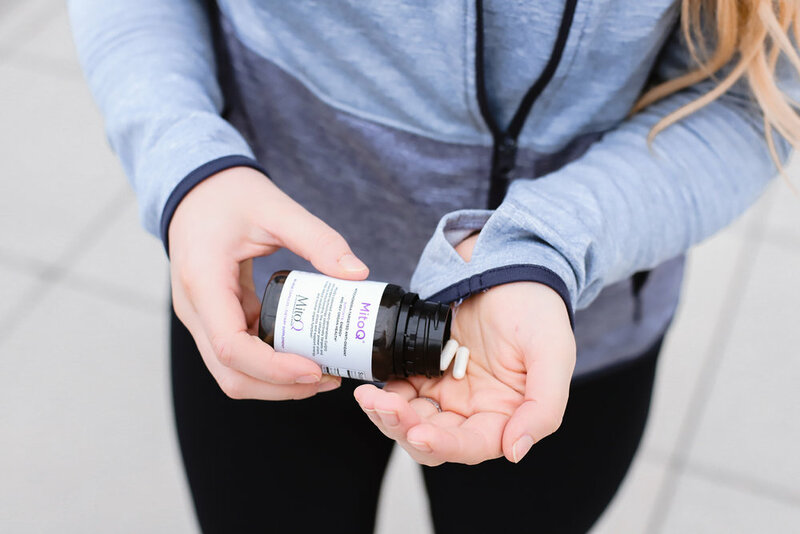 I recently started taking the MitoQ® 5mg Supplement, the world’s first free-radical-fighting antioxidant that acts inside our mitochondria to provide the energy needed by cells to function properly. 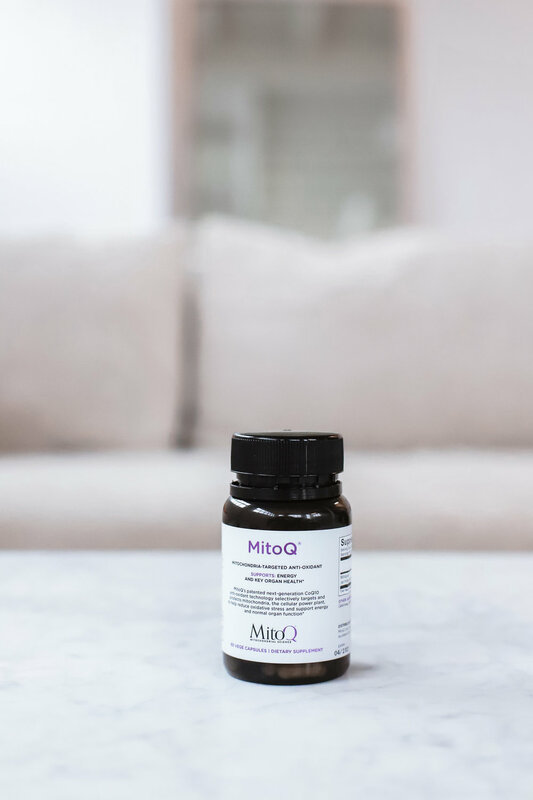 MitoQ is a form of CoQ10 (an antioxidant that the body naturally makes on its own) that is able to penetrate the mitochondrial membrane and act specifically on the mitochondria, thereby helping to support organ function/health, slow down the aging process, improve body recovery, and increase energy. There is currently no other CoQ10 supplement on the market that can penetrate the mitochondria the way MitoQ does. This supplement benefits my overall health and gives me the energy I need to power through every day! I have gotten into a bad routine of only working out once a week. I really want to make a habit of working out Monday-Friday come 2019. I have found that meal planning is the best way for me to eat healthy, save money, and be less stressed through the week. This month, I started doing all of my shopping and cooking for the week on Sunday afternoons. This has allowed me to spend less money eating out on nights where I’m too tired to cook, and it gives me more time during week nights to spend with Aimery. Practicing prayer and meditation is something that is really important to me. I want to spend more time this year diffusing oils, attending church, and meditating/practicing yoga with Aimery to keep good mental + spiritual health. What are your health goals for 2019? Comment below! HEY MOM, YOU DESERVE A BREAK!